Anna B. 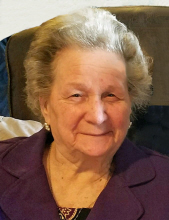 Glass, 79, of Stamford, passed away Wednesday, March 20, 2019 in Abilene. A funeral service will be held 2 pm, Friday, March 22, 2019 at Haskell Foursquare Church with Pastor Bill Glass and Pastor Burton McIlroy officiating. Burial will follow in Clearfork (Lueders) Cemetery under the direction of Haskell Funeral Home. A visitation will be held Thursday from 6 pm – 8 pm at Haskell Funeral Home, 2 Avenue D. Condolences may be made at www.haskellfuneralhometx.com. Anna was born March 4, 1940 in Lueders, TX, the daughter of John M. Dodgen and Margaret Petty Dodgen. She was a homemaker and caretaker. Anna was a member of Haskell Foursquare Church and was a mighty prayer warrior. She was a loving mother, grandmother and friend. She was preceded in death by her parents; daughter, Rene Davis, 2 grandchildren and siblings, Johnny Beth Seigfred, Martha Jordan, Sylvia Jordan, Donna Freeman and Sam Dodgen. Anna is survived by her loving family; children, Belinda Cattron and husband Alan of North Plains, OR; Brenda Stirber of Stamford, TX; Elizabeth Olson of Stamford, TX; George Davis of Haskell, TX; Wilson Glass of Elgin, TX; Kenneth Glass and wife Mary of Elgin, TX; John Glass of San Antonio, TX; Dewayne Glass of Texas; Bill Glass and wife Renee of Haskell, TX; 18 grandchildren; 32 great grandchildren; sisters, Sue Penny of Wisconsin; Millicent Buntin of Elgin, TX; brother Leonard Dodgen of Anson, TX; numerous nieces, nephews and a host of dear friends. To send flowers or a remembrance gift to the family of Anna B. Glass, please visit our Tribute Store. "Email Address" would like to share the life celebration of Anna B. Glass. Click on the "link" to go to share a favorite memory or leave a condolence message for the family.